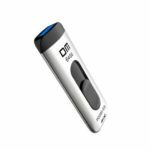 This DM USB3.0 Flash Drive features USB 3.0 high-speed interface, can fast transfer files in a flash, saving time and improving work efficiency. USB pen drive retractable design provide efficient protection to the USB port. Dustproof, shockproof, anti-static, anti-magnetic, high temperature resistant. Ultra stable and high speed transmission. 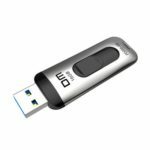 Plug the drive into your computer&apos;s USB 3.0 port and you can transfer files in a flash. 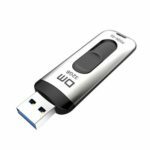 USB3.0 backward compatible with USB2.0.. 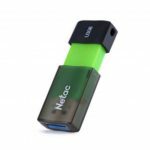 Instead of a cup of flash drive, it has retractable slider design to protect the port. No need to worry about the result of losing cup of pen drive. Enabling super speed data transfer, ultra stable and high speed transmission. Adopt seal design, dust-proof, magnetic proof, high temperature resistance. After three meters of free fall, it can still be used normally. Widely compatible with WinXP / 7 / 8 / 10, Linux Kernel 2.4.X, Mac OS 9.X or higher. 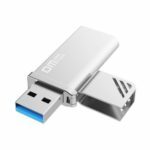 Small size with 128GB large capacity, let you easily store important files.